Enjoy the forces of natrure or just sail! Sailing is an amazing experience mainly because you are in “touch” with the forces of nature: sea & wind. The Sea is everywhere and touchable unlike being in a motor yacht where usually the deck is higher. The wind is the main force that moves this boats and it is always a challenge to squeeze the most out of it (have a look volvo ocean racing ). This is the main difference between motor boats and sailing boats: sailing boats have two “engines”, the motor and the wind while motor boats have only one. And believe me there is no sea “vehicle” designed so far that gives you such pleasure in movement as a sailing yacht floating with speed coming entirely from the wind! The only sounds that you can hear are the forces of nature…. the wind and the sea! And the navigation is much more complicated: more than 20 ropes are used to move this yachts! Of course the participation of the crew is required, if sails are used. The crew has the same goal: to move the boat as fast as possible and get it to the harbor. This creates strong relations among the people that sail together because they are working as a team. Cruiser sailing boats (there are also racing boats that require at least 6 people to move them!) are not demanding that the crew is actively involved (if they don’t want), usually on small boats a skipper is enough (with some help) to handle the boat. About Greece and sailing there is not much to say I think: The perfect playground for sailing, countless islands and beaches! Nnice sailing day returning from Methana situated on a volcanic (the Methana Volcano) peninsula, attached to the Peloponnese. This video has being filmed by a second boat. 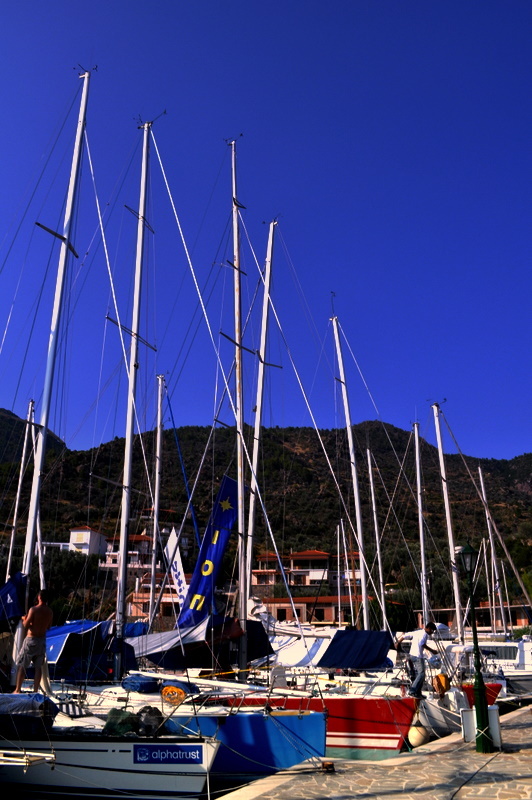 The trip started from Kalamaki, Athens, and ended in the harbor of Vathi. 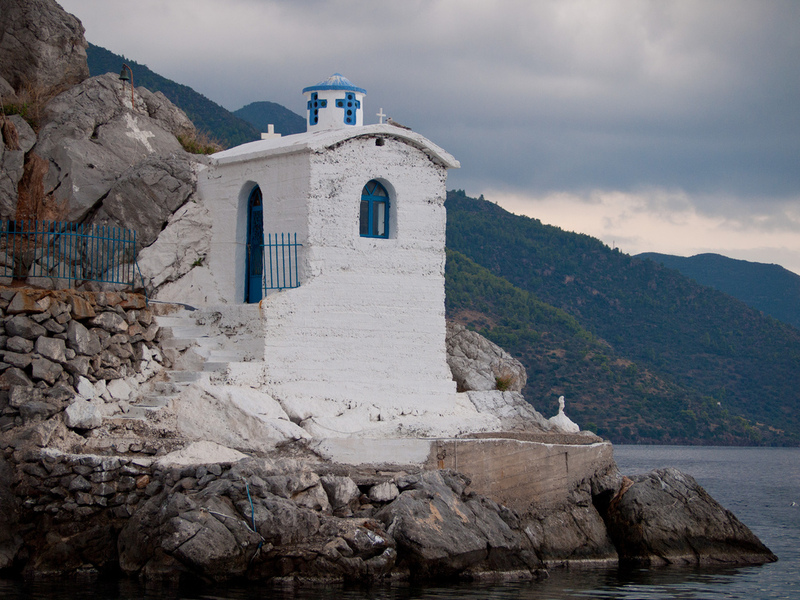 Two miles before reaching the harbor you pass by Krasopanagia, a nice chapel built on the cliffs. Legend has it that a seaman sailing by this area with his boat loaded with barrels of wine, found himself in a storm. Being in grave danger, the seaman prayed to the Virgin Mary promising to build a chapel there using wine. After he was saved, he kept his promise building Krasopanagia, using soil and wine instead of water. Today we are happy to announce that we are offering Wi-fi hotspots to all of you who want internet access while enjoying your sailing vacations in Greece! You will be able to connect up to 5 Wi-Fi devices to the internet at the same time and have your very own Wi-Fi Hotspot. Just imagine yourself , your friends or family sitting on the deck of your yacht, whilst you check email or find out the latest football scores, or watch videos on YouTube. It’s easy and all you require is a device that connects wirelessly to the internet such laptops, tablets or smartphones. The service is limited to 5GB and offers the same coverage as mobile phones. Ideally you will have a speed of 21,6Mbps for download and 5.7Mbps for upload. Of course you are not required to install any software on your internet capable devices. Get your offer for your sailing holidays and don’t forget to ask for internet access! Sailing Greece from Enjoy Yachting on Vimeo. Time to get in the mood and prepare for the summer to come… Sailing in the Aegean or Ioanian Sea, island hopping and best moments with best friends!